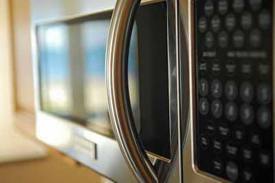 When it comes to microwave repair in Piscataway, New Jersey we provide the best services at the best prices. We understand that microwaves have changed the way in which we can cook. Many types of foods can be cooked much, much quicker in a microwave. When you need repairs for your beloved microwave, we’ll be here to help! Appliance Repair Piscataway delivers high-quality appli ance repairs to customers in the various communities. We load up trucks with spare parts for your particular appliance before a visit. We do this to ensure smooth delivery of repairs and replacements. We specialize in microwave repairs and love to work on all makes and models. Call and let us help you with your microwave today! If your microwave is giving you trouble, don’t sweat it. Just pick up the phone and give us a call. We provide high-quality microwave repair that you can trust. Why can you trust it? Because we have many years of experience servicing microwaves of all kinds. This has grown our skill and confidence to the point where we can guarantee success. Our microwave service is reliable and always there when you need it. Repairs are performed exactly according to the procedure so that nothing can go wrong. We perform our services with speed and steady hands for the best results. We do not only repair microwaves. Our experts also provide excellent maintenance to keep them running efficiently for many years. Don’t let your broken microwave get you down, just give us a call and let us take care of everything. Your microwave will work great after any repair we perform for it! Our trained techs are friendly and honest. We are determined and committed to fixing any microwave brand quickly and efficiently. Make a decision you will be very happy with. Call today to get awesome Piscataway microwave repair service.